Nectarine quite literally means, “sweet as nectar,” and was likely given its name by a Chinese emperor who said the very quote above. 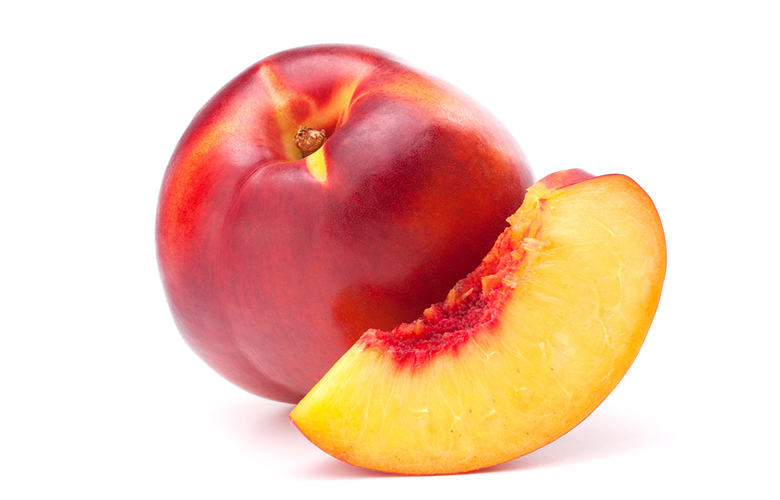 You may have found yourself in a position at one point or another where you confused peaches with nectarines. You wouldn’t be the first! These two stone fruits are ridiculously similar at first glance. Before we dive into our commodity this week, let’s start by understanding the main difference between a peach and a nectarine. First off, nectarines are considered more fragrant and sweeter than peaches – with the occasional bite of an aftertaste. Additionally, nectarines are often smaller in size than your average peach. The best way to tell the immediate difference between the two is to keep in mind that peaches have fuzz, while nectarines do not. The outside may give it away, but a look at the insides of the two fruits will quickly show you how similar they are to the eye. They both can come either yellow or white-fleshed, which doesn’t help us differentiate! Next time you head to the grocery store or farmers market, take an extra moment sometime in July-September to pick up a peach as well as a nectarine as they will both be in season at this time. You will quickly start to see these small differences, and they will stick with you going forward, making it much easier to tell the difference with no effort at all. Nectarines originated in China perhaps over 2,000 years ago, only to be later cultivated in Persia, Rome, and Greece. Great Britain grew nectarines for quite some time along with Spanish travelers and nectarines made their way to the United States in no time. California proudly produces over 95% of nectarines grown in the US. Like many of the stone fruit Rosaceae family, nectarines bring plenty to the nutritional table. Powerful antioxidants. Alkaline digestive help due to immense fiber content. 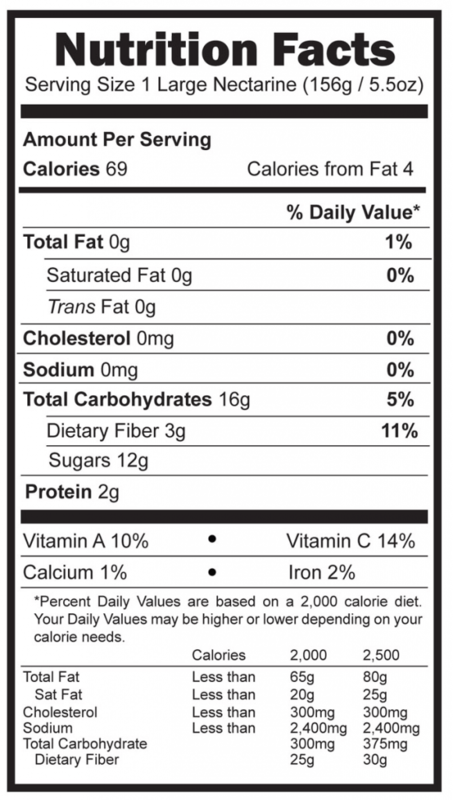 Fiber that also slows down the absorption of sugar in the bloodstream aiding in fighting diabetes. Detoxification and weight loss benefits. Rich source of Vitamin C to assist in preventing Anemia. Chlorogenic acid to aid in fighting anti-cancer properties. Improvements in eye vision due to lutein. Cardiovascular health improvement via proper circulation of blood in the body. Immunity Booster. Cellular turnover health and promotion. Do farmers infuse magic into these stone fruits or something? Nope – that’s just good ole’ Mother Nature having our backs through fresh produce. The mere fact that we as humans can consume nectarines right off the tree (although we do love a nice wash off) in their current state of ripeness is proof of the power of Mother Nature alone and the cycle of life. Don’t ever underestimate the power of the nectar. Many people view nectarines as just another summertime fruit and devalue the number of nutrients and health properties that come along with it. A little bit of the right fruit really does go a long way – and goes to show you how important it is to read up on the history and nutritional value of everything we consume to help aid us in refining our dietary purchases. Eating healthy doesn’t have to be expensive – but in the end, it’s worth its weight in gold.